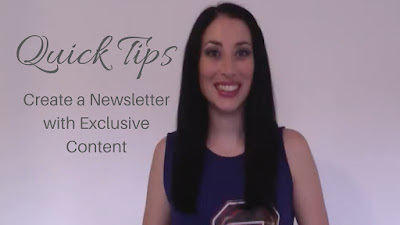 Quick Tips: Bringing you tips, tricks, and strategies in bite-sized format to help you build your author brand, and market your books. This weeks "Quick Tip" is to create a newsletter with exclusive content. Newsletters should contain content that can't be found any where else. Readers are giving up their email address, and so you should be giving them exclusive content. If your content can be found on social media, your blog, etc... why would they bother signing up to have it sent to their email inbox? For the same reason, you should never social share your newsletter. Keep it exclusive. Do you have a newsletter? What kind of content do you include? Don't forget to sign up for my monthly newsletter. 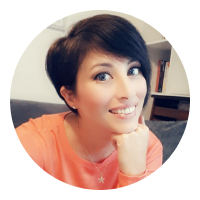 It's full of exclusive tips and strategies, with behind the scenes info about what I've been doing, what works and what doesn't, and all the latest details about new releases and works in progress. Become part of the exclusive tribe and sign up now!